Here we are then, another season over and another Super League trophy adorned with blue and amber ribbons. 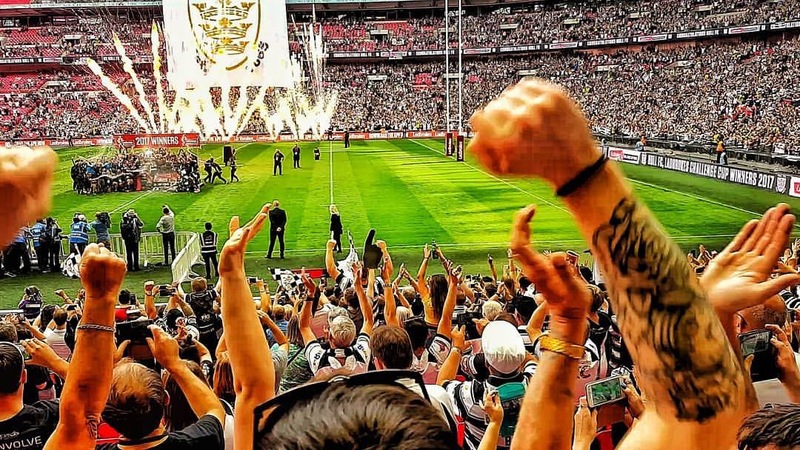 But just how much does it say for the fans of Hull FC that, for the second year running, we were so close to reaching Old Trafford and doing the double we could almost taste it. 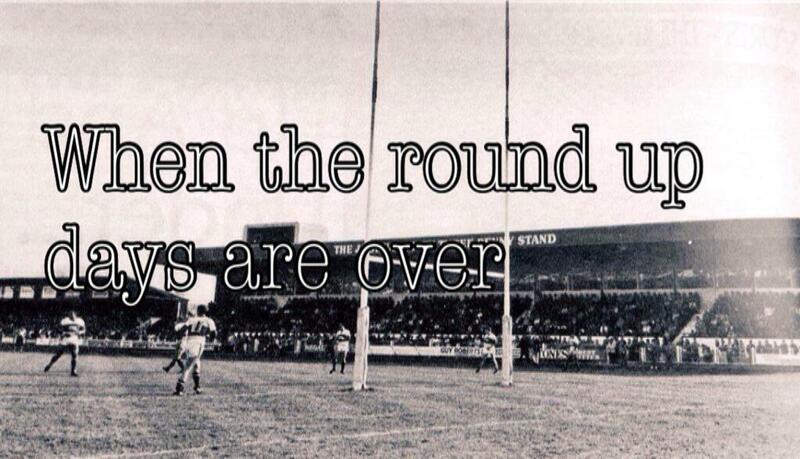 Wind back two years; dumped out of the cup by Leeds (again) scraping into the top eight and a Super 8s “campaign” ending as soon as it began. 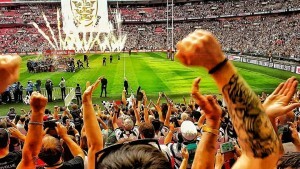 It’s therefore staggering, in a sport where the UK top flight is so dominated by a handful of clubs, that in the 19 months from February 2016 we’ve managed to not only break one the game’s most enduring hoodoos but won the precious Challenge Cup twice at Wembley and made successive SL semi finals. And therefore more astonishing still that the dominant emotion amongst the fan base at the end of this year’s campaign is disappointment. This isn’t a symptom of greed or entitlement however, but simply a manifestation of the well-founded belief that this squad, the best in a generation, had the capability to go all the way. A team with Dream Teamers, a Lance Todd trophy winner, a Man of Steel, an immense front row and captained by the talismanic Gareth Ellis. To win the major prize however, as brought into acute focus by Castleford, you need more than just a well-coached, very good team. You need 100% full throttle defensive line speed and carries for 80 minutes. A ruthlessly accurate kicking game and excellent discipline. And the ability to win in poor weather at Headingley. Despite being outplayed for long parts of the semi final, Hull somehow managed to edge in front, but Grand Final resilience is unfortunately part of the Rhinos’ DNA and not ours quite yet. A brave display full of effort left us just minutes short of the big stage, in pretty much identical fashion to the loss at Wigan the previous year as Ellis and Fonua bowed out a week earlier than everyone at the club had been targeting all year. But credit has to go to Leeds and their role modelling of the grit, tenacity and experience required to deliver at the critical point. There have been many, many positives for us this year. The progression of Watts and Bowden in an excellent group of props, the game-breaking exuberance of Kelly, game management of Sneyd and the emergence of Jake Connor as a real X-Factor potential player who must be in the starting 13 next season. But maybe the biggest positives are that the vast majority of this group will take the field again next year; minimum squad turnover and the memory of coming so close will be a fresh reminder of how much focus and delivery is needed to achieve the ultimate goal. For breakthrough impact, Jake Connor has taken some beating this year; badged as a utility player initially with others in front of him his footwork, appetite to take risks and great hands have made the difference in many games in the second half of the season. Liam Watts has been unplayable in parts, striding through gaps and finding a killer pass and Albert Kelly’s impact has been undeniable. Sneyd’s game control continues to improve and for metres after contact you’d be hard-pressed to find a better player than Josh Bowden off the bench. However for providing the defensive cohesion week in week out that goes almost unnoticed, coupled with a relentless work rate and some fantastic line breaks, the winner has to be Sika Manu. Down Under Blog: #45 International rescue? Social media is the best way to stay up to date with our posts, pages and online content, from team news, to opinion pieces, and to the insulting of our nearest and dearest. Up the Cream is available to buy on all Hull FC match days, priced at £2. A new edition is available every home game. For more details click the fanzine tab on the menu section. 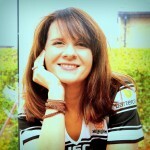 Hull FC's independent fanzine. Est 2015.